Is Richmond Next Hipster Haven? Until recently, most would associate the above quote with San Francisco. But the Times is referring to Oakland, whose hot new restaurants, art scene and rising rents are said to be changing the city’s identity. The NY Times seems obsessed with promoting Oakland as a gentrified city, a point I disputed in “Oakland is not Brooklyn, and Valencia St. is not San Francisco.” But Oakland rents are steadily rising (up over 20% in the past year), along with the number of residents blaming tech workers for the upward impact of housing costs. Young people have been flocking to Oakland for years for its greater affordability. But the overflow from San Francisco in the past two years has changed Oakland’s rental market for good. It is no longer an easy fit for artists and others looking for housing they can afford without working fulltime, or without a well-paid job. With Oakland approaching San Francisco’s pre-2012 unaffordability, Bay Area’s urban pioneers need a new city to call home. It will not be Daly City, San Bruno, or a similar city to the south. Nor will it be the North Bay, which has even less affordable housing. Young people want to live in a city on a direct BART line to San Francisco. A city with a working-class, multi-racial population. A city with a Green Party mayor, a progressive grassroots political organization, and an already burgeoning arts scene. And most importantly for those made unhappy by the very existence of tech workers, this city has few. I’m talking about Richmond, California. 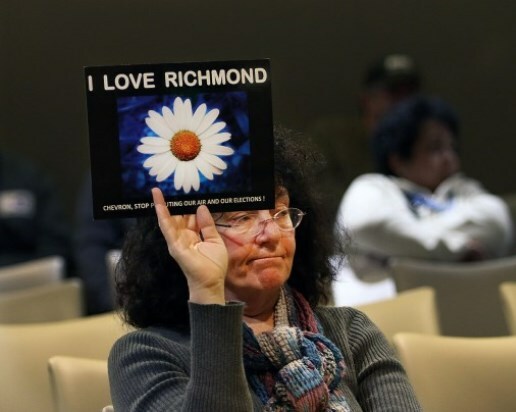 Richmond has a lot in common with Oakland. Both still have a large African American population, though Oakland has seen a steady decline in recent years. Both have a long history of police misconduct, excessive crime and violence, and ample poverty. But both are on the rise. Oakland’s economic development has far outpaced Richmond’s, which is why it has become so much less affordable. Richmond today is where Oakland was 15 years ago, and those seeking affordable housing along with a diverse culture will not find a better Bay Area locale. Richmond also offers another attraction for politically-oriented young people: a powerful oil company as an adversary. As Steve Early describes, the global giant Chevron “will be breaking all local spending records” to help elect pro-refinery candidates in the mayoral and city council races. Young people eager to join the front lines of the battle against climate change can do so in Richmond. The Richmond Progressive Alliance provides an immediate entry point for new arrivals to get involved. Whereas Oakland went from stagnant to hip seemingly overnight, Richmond is at least a decade away from being legitimately described as a hipster haven. So this is not the familiar story of young artists reviving a rundown area only to be then displaced as property values rise. For those who argue that San Francisco has lost its authenticity and class diversity, and who fear Oakland is moving in a similar direction, Richmond offers at least a decade where these concerns will not be an issue. But don’t wait too long before moving there. It’s only a matter of time before the NY Times seeks out a new Bay Area city to promote, and Richmond is likely next on its list.